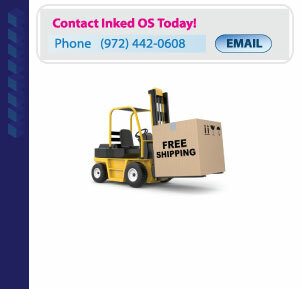 Inked Office Solutions now offers print management with the best selection in stock and professional services. Every company’s greatest assets are it’s customers, without customers there can be no success. CARBON SiX Print Management®: Covers all critical elements you need. Ask about the Auto Toner Replenishment System® today! We ship direct at no extra charge with your logo personalized on the packing slip. Best Selection in Stock: Printer, copier, fax and data storage supplies from 70 manufacturers with 98% fill rates. Offering monthly specials, we offer the best in stock selection of printers and MFPs. We now offer easy online ordering! Professional Services: Our customer’s success is our success. We would like to ensure your ongoing success by providing sales training and coaching for each program. From business planning to sales, there is a range of optional training.